With revolutionaries like Elon Musk in the world showing us the way to a greener future with our vehicles, it comes as no surprise that the world’s largest van manufacturers are following suit. Volkswagen, Ford, Mercedes, Iveco, Peugeot and Nissan to name a few are offering commercial vehicles that appeal to businesses with an ecological sway. At present electric van sales make up a tiny fraction of van purchases here in the UK but over the next few years they’ll be making their mark on the industry becoming an everyday sight on our roads. Pollution, especially in our cities, is at an all-time high so like the Tesla’s, the trademark electric whistle of the motors will quickly become the norm from our passing tradesmen and couriers alike. It’s not just those with a naturally green approach to business who will be buying the electric vans either. Boris Johnsons ULEZ scheme will be hitting the diesel vehicle drivers in the pocket if they choose to enter a low emission zone if the vehicle doesn’t comply with the Euro 6 emissions policy. Pioneering car brands Nissan and Renault have capitalised on their already largely adopted electric car technology and are leading the way with the Nissan e-NV200 and the Peugeot Kangoo ZE offerings and while they have dominated the market up until this point, the competition has woken up and things are about to get very interesting. There certainly isn’t the abundance of electrical vehicles on offer to match that of diesel vehicles but the table will be turning soon enough, and this list will be growing exponentially over the next few years. Nissan tout this as the van to have if you make early morning deliveries due to its near silent running. Easy loading access offered through the sliding side and rear fold out doors. An extremely popular choice having been available since 2016 it was the most popular purchase in the van world for 2016 and 2017 running. The upgraded version of the Kangoo gives a much better range at 170 miles making this a practical choice for a potential buyer. All e-vehicles are quiet but the Kangoo offers a pedestrian alarm between 1 and 19mph which comes in extremely handy for safety when in the busy streets of the city. We like: Voice recognition for navigation, safety feature for pedestrians at low speed. The standard Berlingo is a class leader in the small van range and the electric version is no different. Electric windows, doors, mirrors and Bluetooth / MP3 all as standard. Despite its cute size the passenger seat folds down and takes the load length from 1.8m and 2.05m (model dependent) to a whopping 4.4m. The middle seat also folds down to a desk which is a pretty neat feature for any paperwork you might need to do on the road. The eDucato offers 7 load volume options and has payload availability from 821KG up to 1267KG which is pretty staggering given the larger is part of the 3500KG class and the batteries for these vehicles weigh so much. The beauty of the Iveco lies in its heart – the battery. With fast charge times and a heater pump to ensure no battery performance degradation in cold weather, this is the van you can rely on. And what’s more the batterie(s) (you can have 1-3 dependent on spec) are fully recyclable. This is what we like to see! Multimedia is taken care of with the inclusion of a 7” detachable tablet and best in class technology – ‘Tom Tom Bridge For Iveco’. Eco-friendliness – electric cars are good for the environment. The huge spike in pollution over the last 10-15 years has been from Diesel cars. Originally posed as the more efficient and hardy engine in comparison to that of the petrol engine, the nitrous oxide bye product of diesel combustion engines is extremely harmful to our ozone layer AND directly to those that breath it in. Electric cars fuel off the mains electricity supply which is a much cleaner power source. Silence – the world is a noisy place and let’s face it, we could all do with a little less noise in our day to day lives. Electrical cars have extremely quiet and efficient motors meaning there is far less friction and noise! Incentives – the government is offering 20% up to a whopping £8000 as part of their plug-in van grant scheme. The government are serious about pollution so take advantage of this incentive while it’s available. Running costs – wear and tear on e-vans is much lower than that of diesel vans due to smoother mechanics and less moving parts. The cost of electricity per mile is considerably less than that of diesel also. Performance – most vans offer smooth automatic gear changes and unrivalled torque meaning they are not only efficient but practical too. Reliability – Due to there being fewer moving parts in the vehicle drive chain and motors, these vans rarely break down. You can keep your business going all day everyday meaning no loss of earnings. Cost – like anything in this world, when it’s a brand new and revolutionary product, prices are always high at the start and as people start to buy them they come down in price. That said, you can pick up the Berlingo for around £16,000 so already things aren’t looking too bad. Charging – Nobody wants to wait 40 minutes to get a partial charge on their van so it takes one to be organised to ensure you’re not left high and dry part way through your working day. The actual time to charge depends on the power of the charger you’re using. For a typical 3 pin UK plug in you would need all day to charge most vans whereas for a DC charger you can get a 75% charge in just 40 minutes. Charging Stations – You’re never usually further than a mile from a petrol fuel station – that can’t be said for electrical charging stations but these are definitely on the rise – see here for a map of where you can charge whilst out on the road. ZapMap gives you live info on where you can charge, how many charge points and whether they’re in use. Weight – for vans, weight can be an issue, especially as you reach the 3500KG gross class. The batteries for electric cars and vans are extremely heavy which eats into the payload budget for the larger vans. Whilst they may be perfectly able to carry more weight, legally they cannot. This is something that is under review by the government. Range – Something that you can see from the above varies hugely from vehicle to vehicle. Manufacturer claims are wildly inaccurate so as a rule of thumb knock off 20-25% and that will be your true mileage per battery charge. That said, most vans even at this early stage will cope with the majority of distance demands in day to day jobs – it’s when you start looking at doing North to South trips that the electric option falls down. 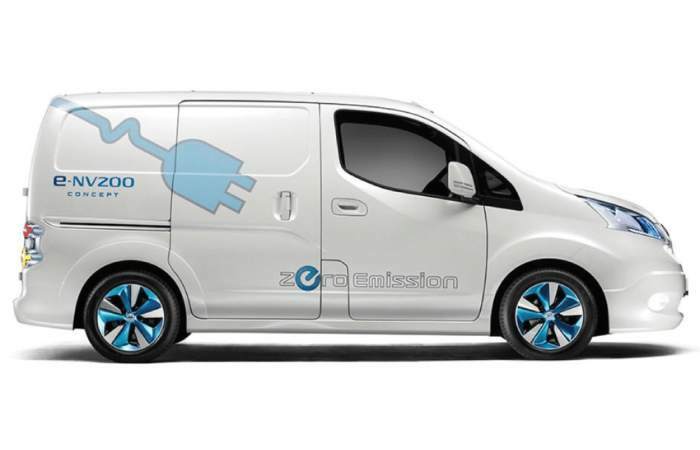 Residual values – with uncertainty in the van market at this point in time second hand resale values of electric vans are lower than that of the equivalent diesels. Hopefully this will change as mind sets are altered. Battery degradation – over time batteries lose their charge capacity. Renault offer a leased battery to try and answer the problem but it’s not had much success in changing peoples view on them. That said, most manufacturers offer an 8 year warranty on the batteries which should outlive the working life of the van. To summarise, electric vans are here to stay – they are very much a viable option for the likes of your local tradesmen / courier rounds where running costs and reliability are of utmost importance. The large van offerings need a little more time but maybe with the advent of the e-crafter and e-sprinter coming to market in 2019 the government will change the policy to allow increased gross weight in the 3500KG class to allow for the extra weight in the technology. All in all, saving the planet whilst reducing your business costs has to be a compelling incentive when considering your next van purchase. If you make the leap of faith and purchase your dream electric van then feel free to give us a call should you wish to discuss van insurance options.